Designed after the S&W .38 Special, the .357 Magnum was introduced in 1934. The cartridge was created through a collaborative effort of legendary firearms enthusiast Elmer Keith, gun writer Phil B. Sharpe, D. B. Wesson of Smith & Wesson and Winchester. Although the men worked together to design the new round, the credit often goes to Keith, a writer, Idaho rancher, and handgun hunter. The men aimed to make a bullet that could compare to the Colt .38 Super Auto. During the mid-1930s, the .38 Super was the only American-made cartridge touting a muzzle velocity above 1,000 FPS. The high velocity was important since it was able to penetrate ballistic vests and automobile glass most often used by bootleggers and gangsters. The team achieved their goal and soon the .357 became the most popular revolver cartridge on the market. It became the cartridge of choice for law enforcement. D. B. Wesson wanted to promote the .357 to police, hoping to make S&W the number one choice for arms for law enforcement. The development of .357 Magnum ammo is credited with introducing he “Magnum Era.” The cartridge is dual-purpose commonly used for most often for self-defense, law enforcement, hunting, and target shooting. Technical expertise for the development fell on the shoulders of Sharpe, who was a member of the technical staff of the National Rifle Association. Although it was based on the S&W .38 Special, the .357 used an extended casing and different powder load. Extending the case by 1⁄8” was a safety measure. Both the .357 Mag and .38 Special can be loaded in Colt New Army revolvers, however this can create dangerous pressure levels more than the New Army can handle. 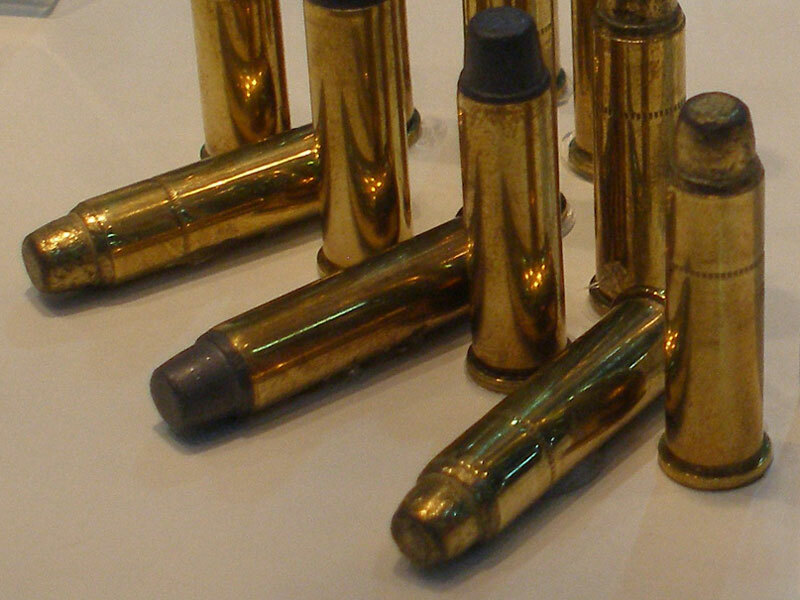 The .357 ammo has evolved since its inception. Smith & Wesson altered Keith’s design, slightly reducing the size. This was common with Keith’s bullets as they were often oversized. The new model became known as the Sharpe bullet. After conducting several experiments, Winchester made more modifications while maintaining the contour designed by Sharpe. The final design was a combination of the two rounds. Currently, the rimmed centerfire cartridge – which is the most popular handgun caliber – has remained in use by law enforcement as a standard issue for their service weapons. It is also known as the .357 S&W Magnum or 9x33mmR. Its measurements: .357” (9.1mm) diameter bullet enclosed in a 1.29” case, with the total length of the cartridge at 1.59”. Its maximum pressure is 35,000 PSI with an average velocity of 1,090 FPS. The round became immediately popular with U.S. military personnel from World War II through Vietnam. General George Patton was always known to carry two revolvers. Special Forces also had the .357 as the weapon of choice. Law enforcement and security guards carried the .357 Mag for many years, and while the revolvers were eventually replaced, many still carry them as a backup weapon. Civilian shooters often prefer to use a .357 Mag cartridge for silhouette shooting, handgun hunting, target shooting, and self-defense. While there will always be users who choose to stick with the all-powerful Magnum, experts claim that the Magnum Era is ending with the birth of ARs and other weapons that use a smaller, more manageable cartridge. The .357 has made its stamp on history, most notably by General George S. Patton, one particularly famous .357 Magnum shooter, carried two revolvers, one an ivory-handled (not pearl) S&W .357 Magnum and the other, an ivory-handled single action .45 Long Colt.